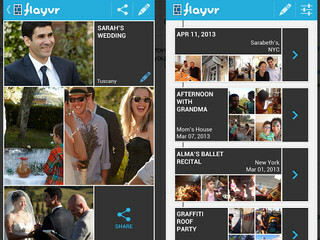 Photo organization app Flayvr raised $2 million in a round led by Kaedan Capital, Moshe Lichtman, Aviv Venture Capital and iAngels, with participation from Hank Vigil, Fritz Lanman, Adler Chomski and angel investors including Rafi Gidron, Zohar Gilon, Yariv Gilat, and Partam Hightech. Moot, formerly Muut, a platform for online discussions, closed a round of $770,000 led by Oregon Angel Fund, and including Portland Seed Fund. myWebRoom, a platform for creating and assembling visual collections of products, websites and people, raised $2.8 million in seed funding from Konstantin Nikolaev. Savioke, creators of autonomous robots for the services industry, raised $2 million in seed financing from Morado Venture Partners, along with AME Cloud Ventures, Google Ventures, and individual investors. Drync, a mobile social networks for wine drinkers, raised $2.1 million from Cross Link Ventures, Great Oaks Venture Capital, KEC Ventures and Foundry Group. Darmesh Shah and Wakit Lau made individual investments. Casengo, a cloud app that empowers companies to respond to their customers faster, raised $2 million (€1.5 million) from a consortium of European investors led by venture capital firm henQ. Idea management startup Wazoku raised £1.25 million ($750,000) led by the Cambridge Angels. OnFarm, a provider of data and analytics software for farmers, raised $800,000 from undisclosed investors. Stealthy mobile app Last raised $2.1 million in seed capital led by Freestyle Capital, along with Greylock Partners, Founders Fund, Google Ventures, Sherpa Ventures, Designer Fund, BoxGroup, Launch Fund, SV Angel, Fuel Capital, Slow Ventures, Ruchi Sanghvi, Pete Cashmore, Tom Conrad, Todd Jackson, Tom Watson, and Semil Shah. Zesty, an online platform to locate and book healthcare appointments at short notice, raised $2 million in funding from TA Ventures and ABRT Fund. Digital health company Wellframe raised $1.5 million in seed funding from Jonathan Bush, Tim Draper, Sabaratnam Arulkumaran, Russ Nash, Carl Byers and James Nahirny. 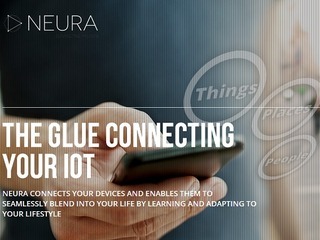 Neura, a network for the Internet of Things, raised $2 million in a funding round led by Greenhouse Capital Partners, alongside SingTel Innov8 Ventures, Pitango Venture Capital, TriplePoint Ventures, and angel investors, including Ben Narasin and Isaac Applbaum. E-book soundtrack platform Booktrack raised $3 million in Series A funding led by Sparkbox Ventures. Fuel 3D Technologies, a developer of 3D scanning solutions, secured a £685,831($1.1 million) SBRI Healthcare development contract for the development of a 3D medical imaging system. Flatiron School, which teaches students to code, raised a $5.5 million round lead by CRV and Matrix Partners, along with Box Group. Kabbage, an online provider of working capital for small businesses, closed a $270 million credit facility from Guggenheim Securities. Updater, a relocation and address-change platform, closed an $8 million round from SoftBank Capital, Second Century Ventures, IA Venturs and Commerce Ventures. Taxi booking app GrabTaxi raised an undisclosed amount of Series A funding from Vertex Ventures. Vengo, a maker of interactive digital kiosks, closed a $2 million Series A round from Jens Molbak, Brad Feld, QueensBridge Venture Partners, Joanne Wilson, Kensington Capital, Vegas Tech Fund, Scout Capital and Vector Media. BioConsortia, an agricultural biotechnology company, raised $15 million in Series B funding from Khosla Ventures and Otter Capital. Ioxus, a manufacturer of premium performance ultracapacitor technology, raised a $21 million Series C round from IFC. True Capital Partners completed a first close at $5 million for TrueStart, its seed investment fund. 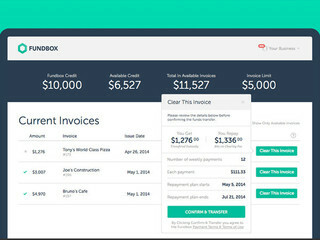 Fundbox, which allows SMBs businesses to get an advance for their unpaid invoices, raised $17.5 million in a Series A round led by Khosla Ventures, with help from SV Angels, Vikram Pandit, Tom Glocer, Jay Mandelbaum, Emil Michael, Shlomo Kramer, David Krell, and more. 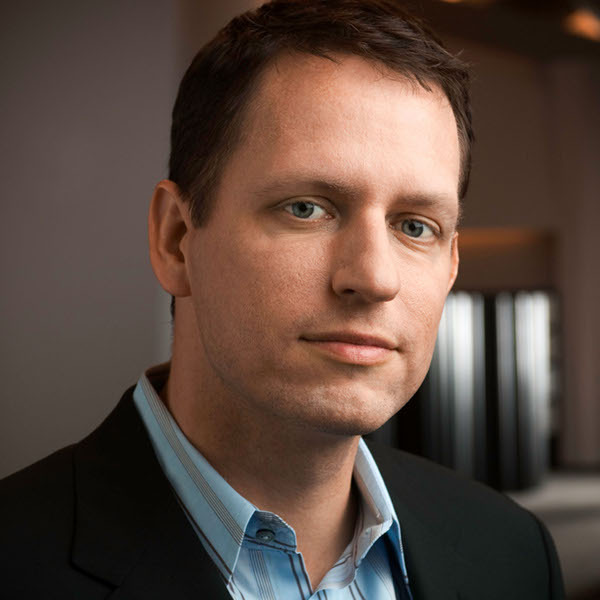 Venture capital firm Jafco Ventures raised a $260 million fund from Jafco, Co. as well as over twenty limited partners, including Greenspring and Industry Ventures. YuppTV, an Internet TV provider that gives users access to Indian content , received an investment of $2.5 Million (approx. Rs. 16 crores) from Sashi Reddi for a 10% stake in the company. Closely, a digital marketing company, raised $3 million in a round led by Grotech Ventures, with Steadfast Venture Capital and CNF Investments also participating. Runscope, which monitors API traffic and address the problems with broken APIs, raised a $6 million Series A round of funding led by General Catalyst with participation from True Ventures and Lerer Ventures. Freelancer marketplace Crew, formerly Ooomf, raised $2.1 million from Fred Destin. Also participating were Naval Ravikant, Real Ventures, iNovia Capital, Boldstart Venture Capital and others. Slidely, a service for making photo and video slideshows, raised a $7.3 million funding round led by Benson Oak Capital. Tachyus, which uses data to improve the production of oil and gas, raised $6 million from Founders Fund with participation from Streamlined Ventures, Caffeinated Capital, and Formation 8. Electronic Health Record platform drchrono raised $2.69 million in convertible debt funding from Runa Capital, Maxfield Capital, FundersClub, Bruno Bowden, Silicon Valley Bank and Box, Inc among others. Data platform Datalogix raised a new investment from Breyer Capital. The size of the round was not disclosed, though it was called "a significant investment." 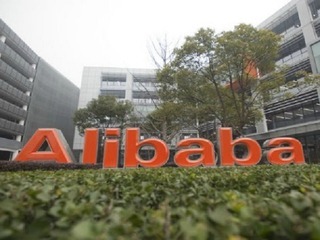 Chinese internet TV company Wasu Media Holding received 6.54 billion Yuan ($1.05 billion) from Chinese e-commerce giant Alibaba for a 20% stake in the company. 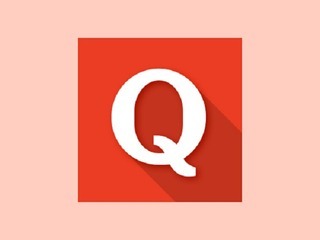 Question and answer website Quora raised an $80 million round of funding led by Tiger Capital, with Benchmark, Matrix Partners and Peter Thiel participating. 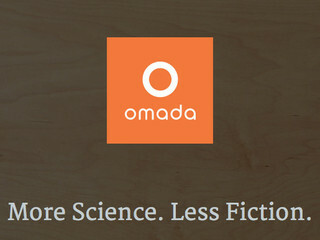 Omada Health, a telehealth solutions to lifestyle-based chronic conditions, raised $23 million in a Series B round led by Andreessen Horowitz, with participation from Kaiser Permanente Ventures, U.S. Venture Partners and The Vertical Group. Mobile App Performance Management company Crittercism raised a $30 million round led by Scale Venture Partners, with participation from InterWest Partners. Wattpad, a social platform that creates direct connections between readers and writers, raised $46 million in a round led by OMERS Ventures, along with August Capital, Raine Ventures, Northleaf Venture Catalyst Fund, Union Square Ventures, Khosla Ventures, Jerry Yang, Golden Venture Partners, and Boris Wertz. Enterprise startup Elementum raised an undisclosed amount of funding from Aaron Levie, Dave Duffield, Jerry Yang, Jim Davidson, and Mike Frandsen. Online food ordering service EatStreet raised $6 million in a Series B funding from Cornerstone Opportunity Partners, Independence Equity, Great Oaks Venture Capital, CSA Partners, Silicon Valley Bank, and angel investors. Mexican car-sharing service Carrot raised a $2 million series B round led by Venture Partners with Auria Capital, Mexico Ventures also participating. 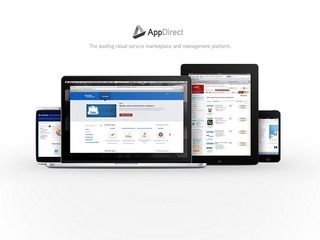 AppDirect, a cloud service marketplace and management company, raised $35 million in a Series C funding round was led by Mithril Capital Management, withiNovia Capital and Foundry Group also participating. Kenshoo, a predictive media optimization technology company, raised a $20 million round led by Bain Capital Ventures with Sequoia Capital, Arts Alliance, and Tenaya Capital also participating. Food delivery service Munchery raised a $28 million Series B funding round led by Shervin Pishevar and Scott Stanford’s SherpaVentures. Ad company Genesis Media raised $6 million in Series B funding led by Blue Chip Venture Capital, with participation from Crown Predator Holdings. The Hunt, an app that helps shoppers find specific items to buy online, raised $10 million from Khosla Ventures and Javelin Ventures. Smule, a provider of interactive sonic media for mobile platforms, raised $16.6 million in a round led by Roth Capital Partners with Bessemer Venture Partners, Shasta Ventures, and Granite Ventures also participating. Atlassian, which provides software for collaborating on code and monitoring software issues raised a $150 million round led by T. Rowe Price, with Dragoneer Investment Group also participating. Panoramic camera maker Altia Systems raised $10.5 million in Series B funding from Intel Capital. Payment processing service Square secured $200 million in a revolving credit line with Goldman Sachs leading the deal and Morgan Stanley, JPMorgan Chase, Barclays, and Silicon Valley Bank also participating. Scytl, which provides secure online voting and election modernization, raised $40 million from Vulcan Capital. Smule develops interactive sonic applications for the iPhone and other technology platforms. Smule is developing the new sonic network, connecting users across the globe through expressive audio. Smule's Ocarina, I Am T-Pain, and Leaf Trombone have set the standard for iPhone applications, combining innovative uses of the hardware with compelling social experiences. Live Social Marketing, built ground up on real-time media, simplified into one dashboard and mobile remote control. Social and real-time media combine to form powerful new ways to ignite and capture local consumer action. But small businesses will not create and manage multiple points of presence across LBS, social, and mobile search. We consolidate and simplify, maintaining the distinct viewpoint of the small business owner and their agents. We focus on practical innovations that fill the gap between cautious small businesses and mobile-ready consumers and customers. The business can create and manage multiple types of live promotions, we automate publishing, tracking/analysis, transactions and redemption across Social Channels (Twitter, Facebook), Search (Google Place Pages), Website (Live Offer Widget), Deal Media Channels (DealMap, etc. ), LBS/Check-in, Custom Publisher Channels (Live Search Tags, Live Display Ads) and Customer Social Network (SocialSelect.com). Publishing can be instantly initiated and changed via a simple Mobile Remote Control. Founded in 2006 by software engineers and search marketers, Kenshoo is a global innovator in search engine marketing technology with extensive industry knowledge. Kenshoo's flagship product, KENSHOO SEARCH™, is an end-to-end Search Engine Management platform, which automates the process of building and optimizing cross channel search campaigns. The platform offers advanced features such as bid management, tracking, a unified dashboard and many more. Kenshoo understands online retail and has several clients in the top 500 of Online Retailers. We work hard to integrate inventory and consumer websites with the Kenshoo platform to enable retailers to build automated highly relevant online advertising campaigns. KENSHOO SEARCH was built on Kenshoo’s unique Quality Management™ methodology. Quality Management is a holistic approach to search marketing that automates most of the labor intensive search marketing operations and gives search markets a wide array of features in a natural workflow for greatest ease of use. MyWebRoom.com is a San Francisco-based tech startup that’s revolutionizing the way we access and interact with the internet. Inspired by the idea of people expressing themselves online and the amount of new web services created daily, Rooms was created to allow people to show their personalities in a visual way while helping them organize, share and store all the online content they value in one place. Users make a free profile represented by a Room. The webRoom organizes sites, social profiles, virtual goods and real products in an intuitive way that’s fun and easy to use. Users can create a virtual room and fill their room with branded objects that hold all their favorite websites and applications. The room is the user’s visual profile and allows users to watch movies, listen to music, store documents, shop, multi-task and more from the privacy of an online room. There is also a social networking aspect that allows users to visit each other’s room. Room themes and wallpapers range from cityscapes including a Parisian apartment, a San Francisco loft and a Sydney flat to an underwater Aqua room and a jungle-inspired, grass-floored Green room. MyWebRoom is focusing on improving the visualization of the web and changing how websites, e-commerce and other online services interact with users today. Drync builds mobile "lifestyle" applications that enable people to learn about and remember favorite specialty products while on the go. Targeting the $330b wine industry and 70m wine loving US "Millenials", Drync's first product simplifies the way people research,store, share and purchase wine using their mobile device. Built initially for the iPhone, Drync-Wine is the only mobile wine application that scours 100's of thousands of wine listings in real time to identify the exact wine you are drinking, as well provide expert ratings and reviews. Users may snap a photo of the label, save the wine to their own virtual cellar with personal ratings and tasting notes, and purchase the wine from the phone. Growth opportunities exist not only in expansion to new mobile platforms, but also to other specialty categories, such as beer,scotch, and cheese. Founded in 2008, Drync is a privately held company in Cambridge, MA.The management team consists of seasoned technology entrepreneurswith deep industry expertise in mobile, social networking, ecommerce,and beverage industries. Where business can find, buy and manage web-based applications. Our Business Application Network allows businesses to easily find the perfect software solution for their needs through our application marketplaces. Businesses can now benefit from one bill for all their applications and one portal to manage and use them. This allows greater integration, ease of use and security for application management. 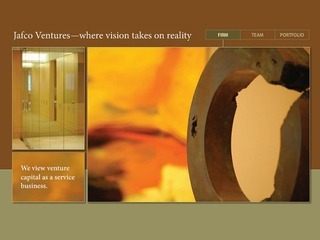 We founded AppDirect in the summer of 2009 with a simple mission: improve the web-based enterprise experience. Our mission and enthusiasm attracted a leading team with over 55 years of collective on-demand e-commerce and software experience from HP, Oracle, Google, VMware, and Salesforce. In our first year, AppDirect grew into one of the largest independent software distribution channels through channel partners that share our vision and passion for web-based products. Web-based technology overcomes the barriers to entry that software companies face in the traditional packaged software market. This makes the software industry more competitive and businesses can now benefit from a greater range of products and services. It liberalizes software by allowing small businesses to access and afford enterprise grade solutions. We make web-based software even better. AppDirect promotes the ease of use, security and reach of web-based applications. Despite the growth in web-based applications over the past few years it remains difficult to find solutions and integrate them for unified management and use. We address this problem with our Application Marketplace, which makes it much easier for businesses to find and compare solutions. We also allow businesses to manage and use web-based software applications in a unified environment through our Business Application Manager. 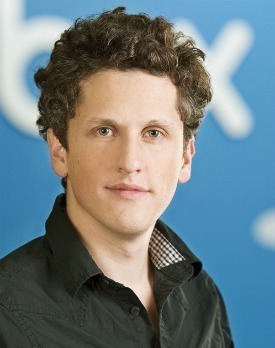 CO-Founder and CEO of Box.